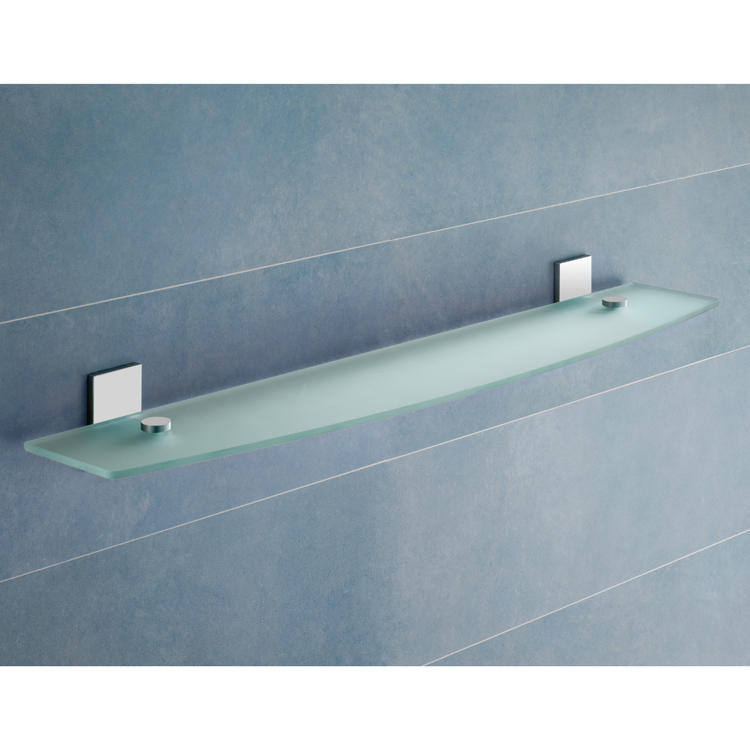 The very modern lines of this 23 inch wall mounted frosted glass bathroom shelf by Gedy will complement a contemporary bath, shower, half bath or powder room. The wall brackets are solid brass underneath a polished chrome finish. 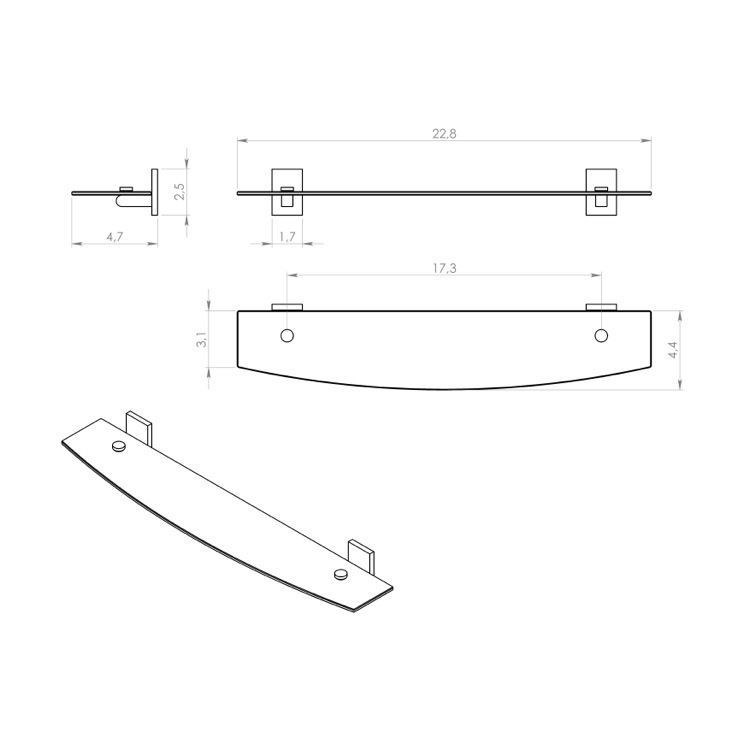 The sweeping curve of the 23 inch satinized glass shelf is 4 1/2 inches deep at its deepest.